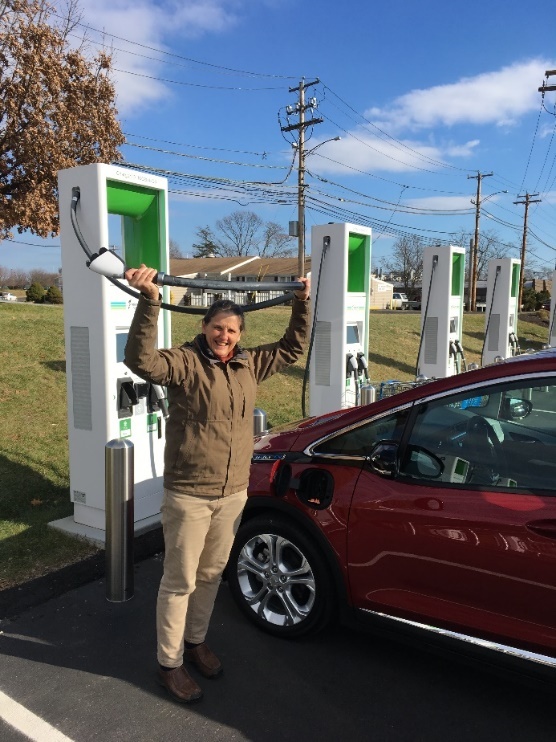 Thanks to the Drive Green program with Green Energy Consumers Alliance, we purchased our first all-electric vehicle in Braintree, Massachusetts with the help of Sean at Quirk Chevrolet. Because the Drive Green program negotiates lower prices from dealers, we were able to secure a $6,100 discount in addition to the $7,500 federal tax credit, making our final cost (after credit) about $27,500. That enticement led us to fly to Boston from North Carolina (which has no nonprofit negotiating such incentives for consumers) and ride the Silver and Red T lines down to Quincy to pick up our car. 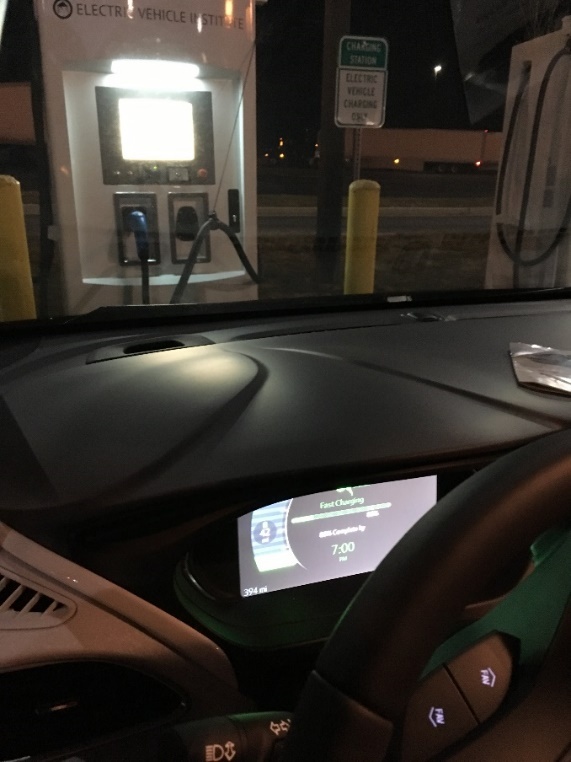 We visited our cousins for the first night in Mystic, Connecticut and got our first Level 1 charge overnight. We departed early on December 8th for an estimated 15-hour drive home. These newbies had a steep learning curve, so the trip would actually take 21 hours… straight into a snowstorm! That said, long distance travel was doable and enjoyable using the Plug Share app to help guide the way. 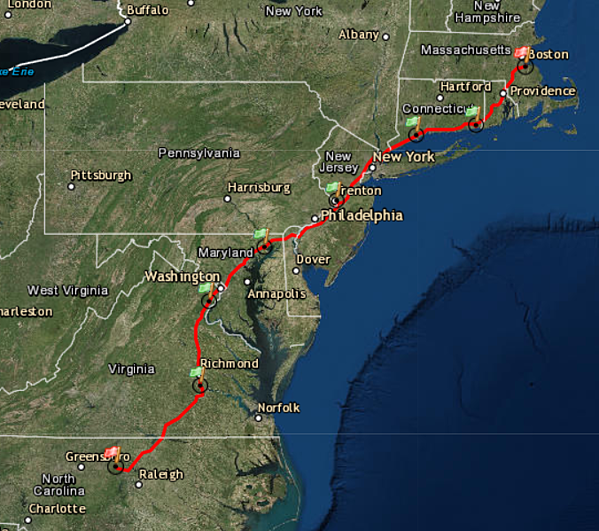 Follow our journey down the Northeast and Mid-Atlantic corridor through the pictures below! Who says you can’t drive long distance in an EV? East Coast map showing one day of charging stops for 700 miles: Mystic, CT; Stratford, CT; NJ Turnpike; Aberdeen, MD; Woodbridge, VA; and Chester, VA; and home to Hillsborough, NC. 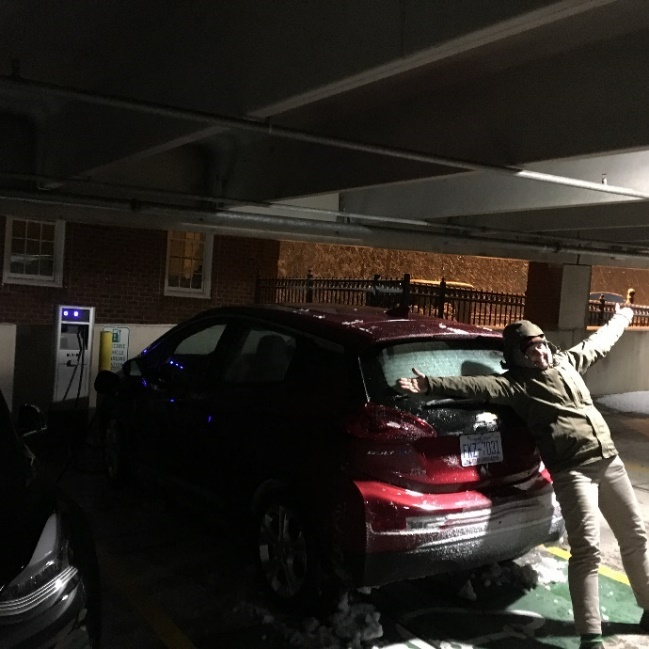 Bolt Jolt at Quirk: Rich’s reaction to owning our first ALL-ELECTRIC VEHICLE! Really, no tailpipe? Learning on the go: why was the charging station not starting for us? Luckily, each station has a phone number to call and customer service helped us. Our first fast charge cost us $36 because we didn’t realize we should have downloaded the app for a cheaper charge. For the remainder of the trip the costs were $10-12 per charge, or free! “Anticipation” by Carly Simon was playing on the car stereo and in our heads. Okay Plug Share (our handy phone app), where to next? 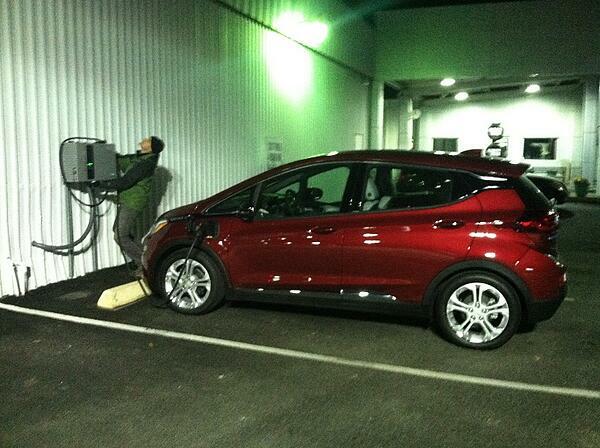 We made a new EV friend at the Molly Pitcher Travel Center on the NJ Turnpike. We stopped at the Maryland House Travel Center for a full charge. We learned that we needed to switch manually from the DC Fast Charger (left) to the Level 2 charger (right) after the car was 80% charged to protect the battery. Charging at 1 AM at a Chevy dealership with a free fast charger in Chester VA. We charged to 100% for the first time (this dealership charger automatically stepped down to a Level 2 once 80% was reached). 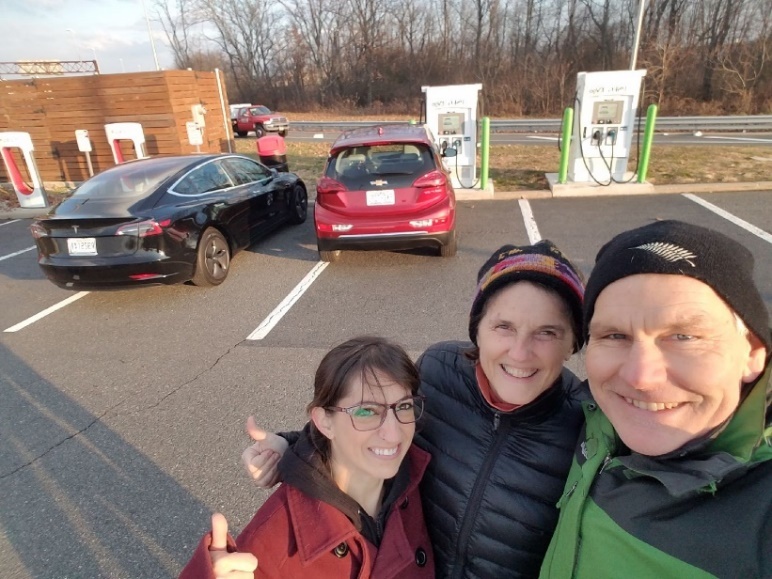 Next we would have a big test—getting from Chester VA to Durham NC (into a snowstorm) because there were no fast chargers available along that stretch of Interstate 85. Finally to Hillsborough NC, arriving home in snowstorm at 5:30 AM after witnessing vehicles sliding sideways in front of us in the snow. 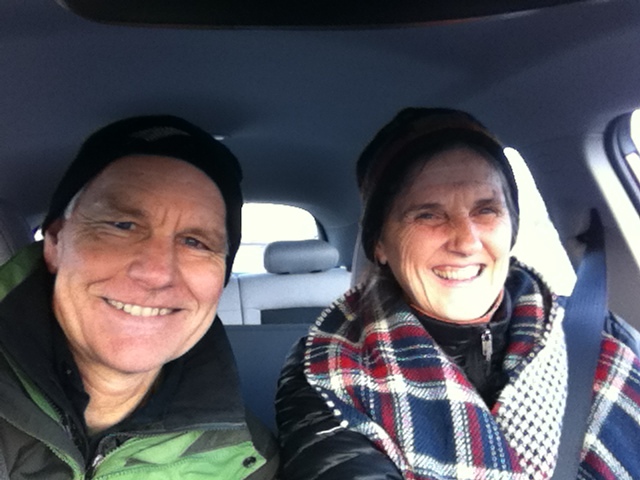 Did the heavy battery, new tires, and driving in “L” help us through the snow? We think so! We left our Bolt charging at one of the four welcome Level 2 stations sponsored by Orange County while we walked home a half mile in the gathering drifts. After learning about our new electric vehicle during our long journey home, we are confident that our future EV driving will be a piece of cake in comparison. We are happy to be the first North Carolinians to participate in Drive Green with Green Energy Consumers Alliance, but we have already convinced a few of our friends to consider flying up to New England and bringing home an EV of their own. NO exhaust, no gas, no oil, no radiator, no gears, no belts, no ignition, no antifreeze. Fun driving and easy handling. Amazing pickup and safer merging in traffic. The Plug Share app is very helpful for finding the next charging station. Advice: download several charging apps with your payment info so you don’t necessarily have to do it on the fly. EPA and DOT say we will save approximately $4,250 in fuel costs over 5 years. DRIVE GREEN as soon as possible! 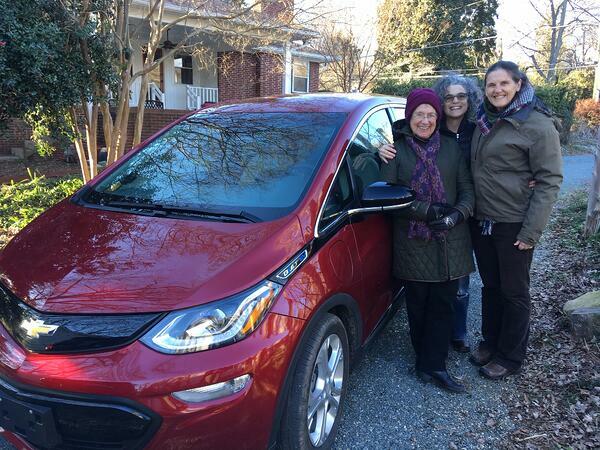 The Reid-Shaws took their friends Jackie and Rachel on a test drive of their Bolt. They spent Martin Luther King Jr. Day advocating for green energy together. It's a total coincidence, but Jackie is a Boston resident, a member of Green Energy Consumers, and a strong advocate for clean energy!